The WG-30 Waist Support Belt provides superior support to the lumbar while providing you with maximum flexibility to move about. Because the WG-30 uses air-pocket expansion columns, the belt itself is comfortable and low-profile so that you can wear this under your everyday normal clothes. 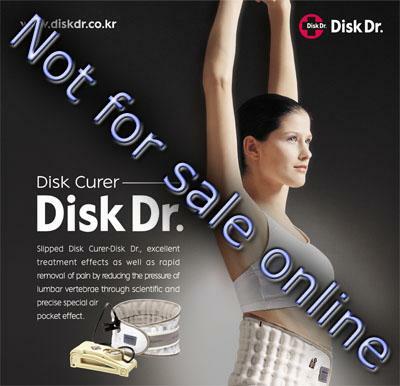 With the Disk Dr. WG-30 waist support belt, you can expect maximum comfort, support, and flexibility. If you have a herniated disc or suffer from lower back pain due to back or disc injury, the WG-30 waist belt is highly recommended. Surgery is not always the answer. Most people who suffer from chronic back pains or back related aches can significantly reduce and possibly eliminate the sharp shooting pains from standing with the WG-30 Waist Support Belt.